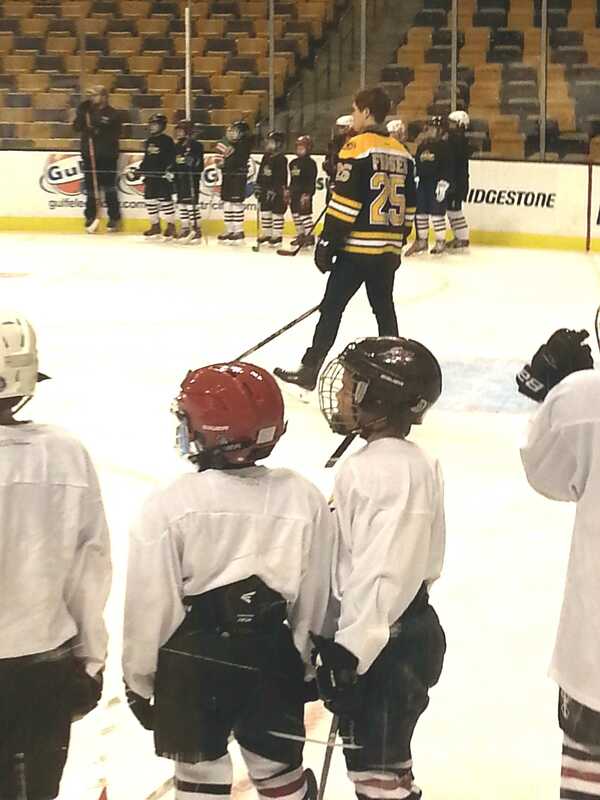 Members of the Watertown Youth Hockey program participated in a clinic with Bruins players Niklas Svedberg and Matt Fraser at TD Garden on Nov. 19, 2014. The Watertown Youth Hockey program won a night at a Bruins game and a hockey clinic at the Boston Garden through a Partnership to Assist Skaters and Shooters (PASS) Clinic Series, which is sponsored by TD Bank. Members of the Watertown Youth Hockey program watch Bruins player Matt Fraser during a clinic at TD Garden on Nov. 19, 2014. TD Bank generously donated Bruins game tickets, ice time, jerseys, and a $1,000 donation to WYH. 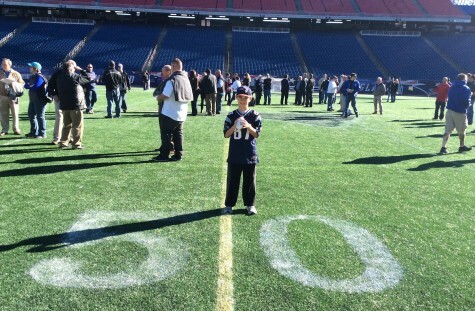 On Oct. 21, 2014, the Watertown Youth Hockey program went to a Bruins game against the San Jose Sharks. The Bruins won, 5-3. 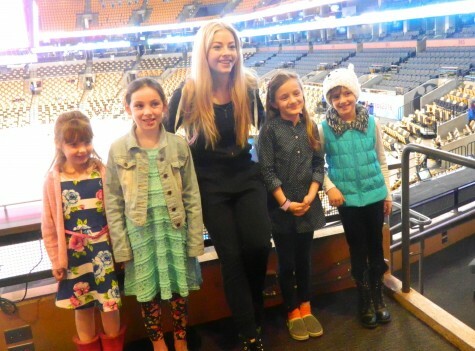 A few weeks later, on Nov. 19, about 50 WYH players were invited to TD Garden to have a hockey clinic with some of the Bruins coaches and players. The WYH players got a free hockey sweater (jersey), t-shirt, and a towel. All the players changed in a few of the locker rooms at TD Garden. The Bruins coaches ran the clinic along with two Bruins players. Matt Fraser and Niklas Svedberg skated on the ice and helped us in skating and shooting skills. It is amazing that when you are watching a game from the stands, the Garden does not look that big, but when you see the stands from the ice, it is probably one of the biggest things you’ll ever see in your life. At the end of the clinic Matt Fraser and Niklas Svedberg signed autographs. The WYH players were able to choose were they wanted their autographs, on their stick or on a jersey and a card. The entire clinic was professionally photographed and videotaped and will be posted on the Bruins’ website in the near future. Skating on the ice was a dream come for young youth hockey players like me.